Few scientists are as iconic, important or recognizable as Albert Einstein. So it makes perfect sense that he’ll be the focus of Genius, the first scripted series on the National Geographic Channel. 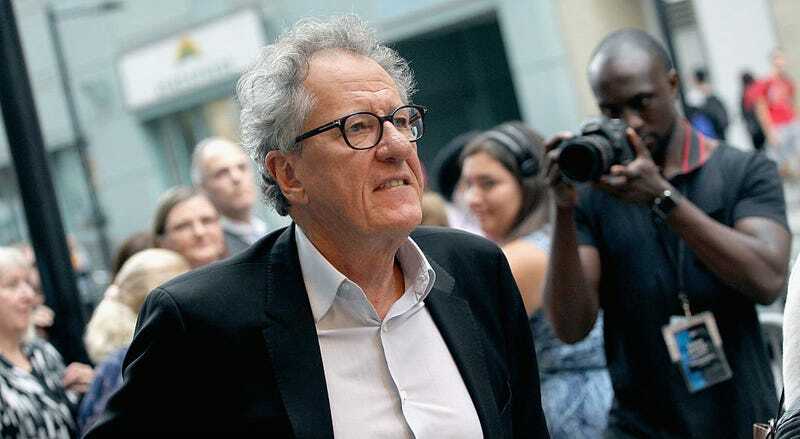 Now, the team behind it, including producer Ron Howard, have found the perfect actor to play the role: Oscar-winner Geoffrey Rush. You don’t get much better than that. Rush will be joined by actor Johnny Flynn (Brotherhood) as the young Einstein (not this one, very very unfortunately) as the first season of the show will dive deep into the life of the famous scientist. The idea of Genius is for each season to tell the story one famous “Genius” and Einstein is first. Subsequent seasons would focus on different people, anthology style.